The surviving suspect in the Boston Marathon bombings, Dzhokhar Tsarnaev, stopped talking to investigators when read his Miranda rights. Tsarnaev’s parents met US diplomats in Russia, and his father plans to go to the US to “find out the truth." The 19-year-old Tsarnaev, who is recovering in a Boston hospital from a gunshot wound, was questioned by police for 16 hours before he went silent after a magistrate judge and a representative from the US Attorney's office read him his constitutional rights, AP reported, citing two anonymous officials. Prior to being advised of his rights, he admitted his role in the attacks to the FBI. Unable to talk because of the wound to his neck, Tsranaev began responding to investigators' questions in writing and nods Sunday evening. He told authorities that he and his older brother Tamerlan, 26, were the perpetrators of the bombings that killed three people and injured over 200. He said his brother had only recently recruited him to be a part of the attack, and that they were motivated by the US wars in Afghanistan and Iraq and the killing of Muslims there, according to US officials briefed on the initial interrogation. 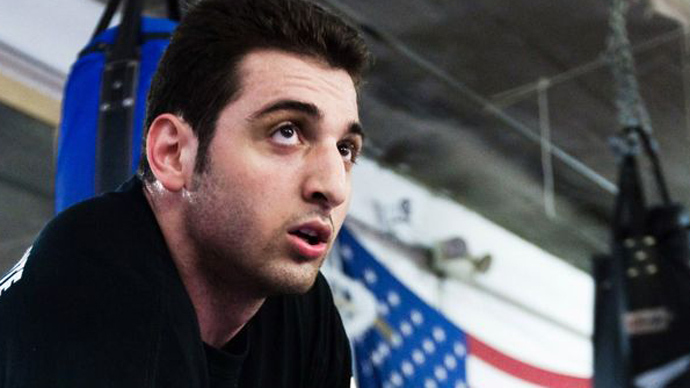 Tamerlan Tsarnaev was reportedly on the US government’s database of people it believes to be terrorists. 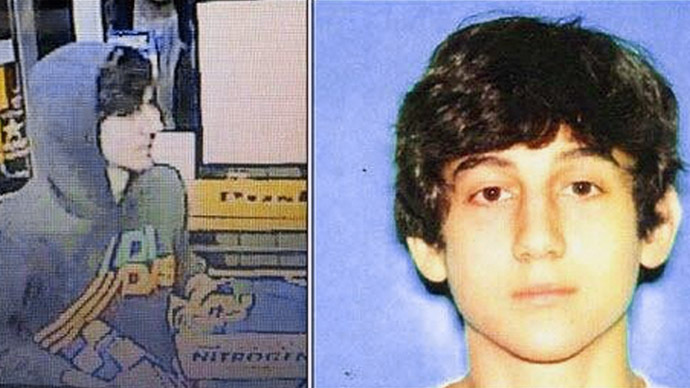 As law enforcement attempts to piece together the circumstances, motives and details of the attack, none of what Dzhokhar Tsarnaev told the FBI before being read his Miranda rights can be used against him in court. 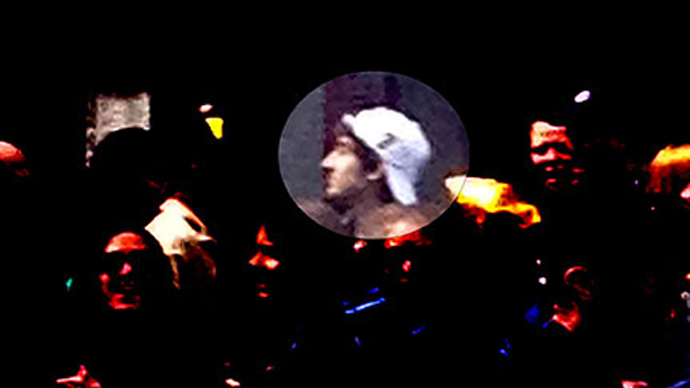 Dzhokhar's public defender refused to comment on the matter on Wednesday. His parents, Anzor and Zubeidat Tsarnaev, both maintained that their sons are innocent, with the father calling Dzhokhar a "true angel." Anzor and Zubeidat Tsarnaev are expected to come to the United States to “find out the truth" behind their sons’ alleged involvement in a terror attack. On Wednesday, they met with diplomats from the US Embassy in Moscow in the Dagestani capital Makhachkala. Zubeidat claimed they both spoke to FBI representatives, though her statement has not been confirmed. After the meeting, Anzor said at a press conference in Makhachkala on Thursday he would travel from Russia to the US to bury Tamerlan. "I am going to the United States. I want to say that I am going there to see my son, to bury the older one. I don't have any bad intentions. I don't plan to blow up anything,” he said, adding, "I am not angry at anyone. I want to go find out the truth." Speaking at the press conference, Zubeidat blamed the US for killing her son. "He was alive! Why did they need to kill him? Why? They got him alive," she said. The mother said she wished her sons had never moved to the US, and if she goes there she will consider renouncing her US passport. "Why did I ever go there? Why? I thought that America will protect us and our kids, it will be safe," she said. "But America took my kids away from me. Why would I not regret?" Zubeidat Tsarnaev said she has not yet decided whether she will go to the US; she is reportedly facing arrest if she enters the country. The clerk of the Natick District Court earlier confirmed to ABC News that Zubeidat failed to appear at a court hearing last year to resolve charges that she stole $1,600 worth of merchandise from a Lord & Taylor department store.